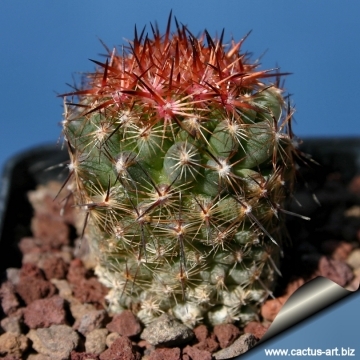 Locality: Flagstaff, Az (MG 410.324) Small stem, red-white spines. Habitat: Often found in grassy meadows. 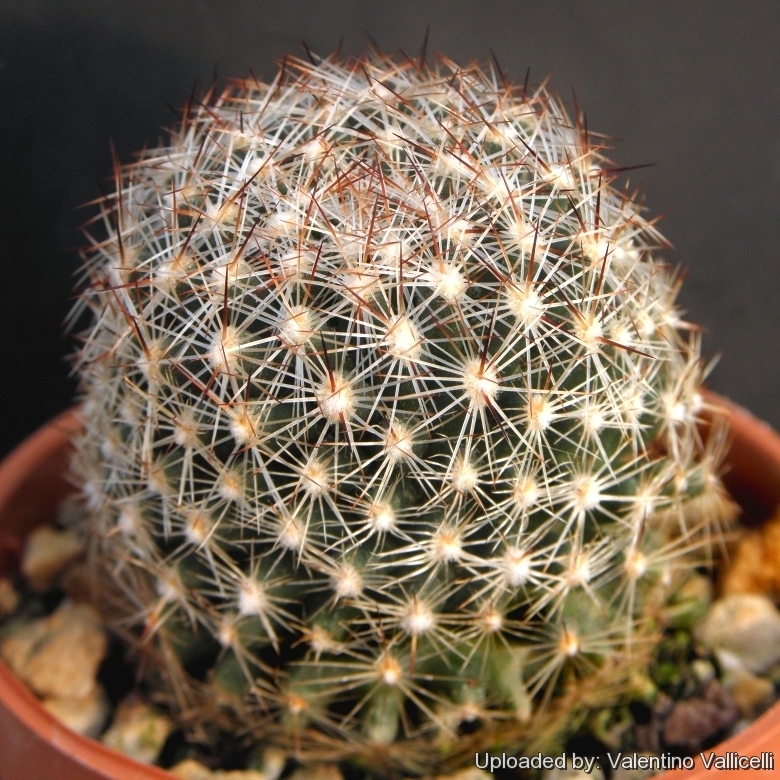 Description: Escobaria vivipara is a small solitary or clumping cactus, some varieties forming colonies of over 200 stems. This species is the most widespread, abundant and variable member of the genus. 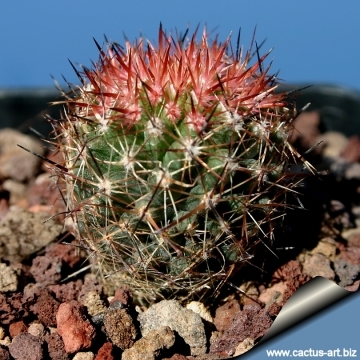 Remarks: The Arizonica variety has small low thick stem, usually single, spines are very dense, red-white, dark red or black. 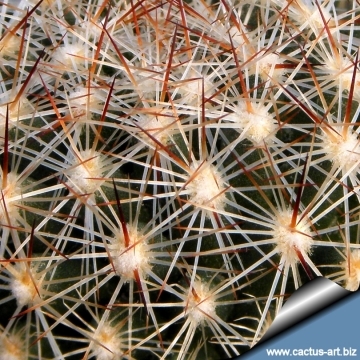 Cultivation and Propagation: It comes from an area of summer rainfall; keep drier in winter (but for outdoors cultivation it is very resistant to wet conditions, too). Needs good drainage. Very cold-resistant, but the frost resistance varies a lot from clone to clone. It can easily be grown outdoors in areas with minimum winter temperatures of -15 -25°. Needs full sun to light shade.